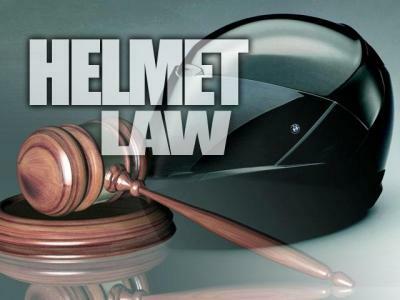 Michigan helmet law went into effect on July 27,2000. A new administrative rule took effect. A motorcyclist in Michigan has been and continues to be required to wear a D.O.T.-approved motorcycle helmet on his or her head when operating a motorcycle or when riding as a passenger on a motorcycle. This applies to all highways, roads, streets, and other thoroughfares in Michigan. Michigan is one of 20 states with a helmet law. Democrat Jennifer Granholm vetoed repeal attempts in 2006 and 2008 when she was governor, but with newly elected Governor Rick Synder Republicans feel that there is a chance that it will pass this time. There are two helmet bills in both houses right now. LeBlanc’s proposal, House Bill 2008, would allow riders 21 or older to go helmet less if they carry at least $20,000 in personal injury insurance to cover medical costs in case of an accident. LeBlanc’s proposal, House Bill 2008, would allow riders 21 or older to go helmet less if they carry at least $20,000 in personal injury insurance to cover medical costs in case of an accident. Senate Bill 291, co-sponsored by five Democrats and 12 Republicans, is even simpler: Helmets wouldn’t be required for riders 21 and older who have passed a motorcycle safety course or carried a motorcycle endorsement on their license for the previous two years. Office of Highway Safety Planning analysis found that revoking the current Michigan helmet law would result in an additional 30 motorcycle fatalities a year. There would also be 127 more incapacitating injuries, which would cost about $129 million in additional economic cost to Michigan citizens. Cars and trucks far outnumber motorcycles on the roadways. No matter what type of vehicle you’re driving, everyone needs to follow the rules of the road and watch out for other vehicles. But, drivers of cars and trucks often don’t recognize or see motorcycles. Because of their smaller size, motorcycles may present special concerns for motorists.Motorcycles may look farther away than they really are. When preparing to make a turn, assume that the motorcycle is closer than it appears. Take extra caution in checking blind spots, as a motorcycle may be hidden from sight by the body of your car or masked by objects such as bushes, fences and bridges. Motorcycles may appear to be going faster than the rest of the traffic, but don’t assume every motorcyclist is a speed demon. Motorcyclists can slow down without activating the brake light. Turn signals may not cancel after a turn. Allow greater distance between your car and a motorcycle for stopping and don’t assume turn signals mean they are going to turn again. Motorcyclists often adjust their position in a lane so they can be seen more easily, avoid debris or minimize the effects of passing vehicles. Don’t assume that this adjustment is a reckless maneuver. Although motorcycles have greater maneuverability than cars and trucks, don’t expect a motorcyclist to always be able to dodge out of the way or be able to stop on a dime. Continually scan the road in front of you for all types of vehicles and allow more following distance behind a motorcycle, for your safety and that of the motorcyclist. For great rates on your motorcycle insurance call 248-888-1134 or visit online Local Michigan agent to get a quote today or go to our site for more updates on Michigan helmet law visit our Detroit Insurance site.